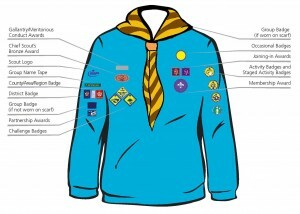 Please find below diagrams for badge positions. Click on the images below to enlarge. 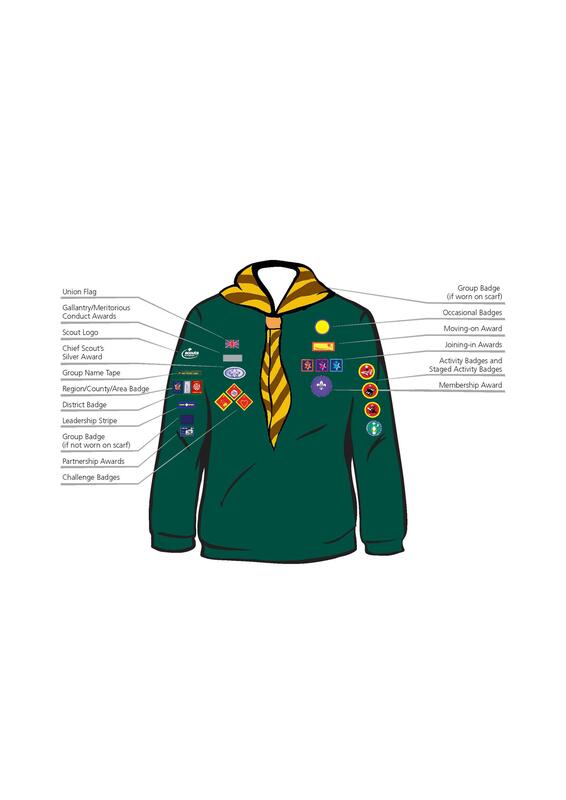 All members require full uniform including the appropriate sweatshirt/shirt and official Scout Trousers. 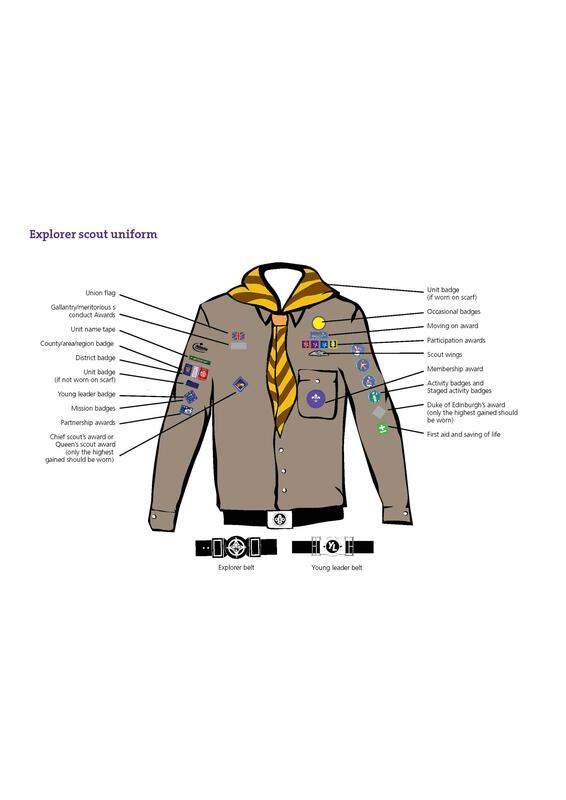 All badges, woggles and neckers are provided by the Group on joining. 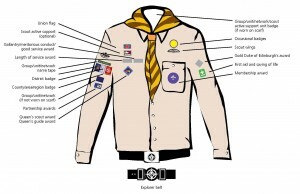 Scouts and Young Leaders also require a Scout belt. 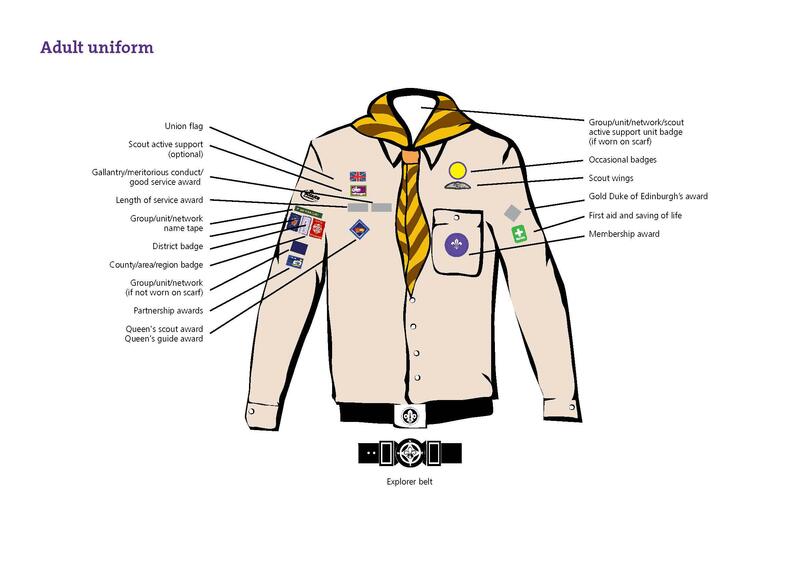 Uniform can be purchased online at Scout Shops , One Stop Scouting, Glasgow Scout Shop, Scout and Guide Store. You may also find uniform on Ebay. Local suppliers can be found here. 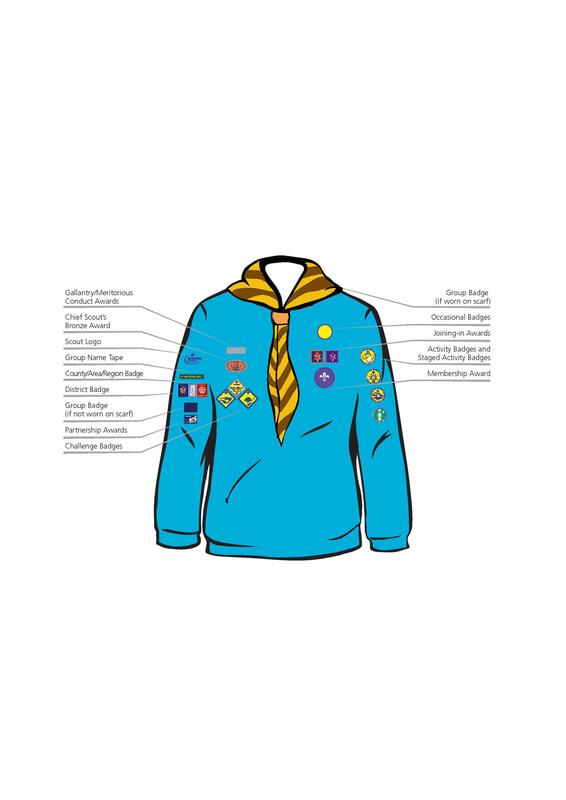 We do recycle old uniform and have a limited supply available – please ask your child’s section leader. Please also donate any uniforms that are too small or when they change sections. 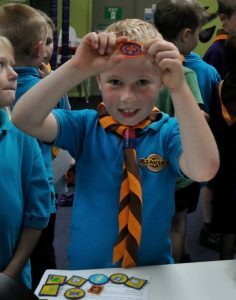 There are a range of badges and awards available to young people in our sections. Achieving a Challenge Award involves accomplishing a number of more ambitious tasks within the Section or community. These Awards support the main themes of the Programme; outdoor and adventure; world and skills. 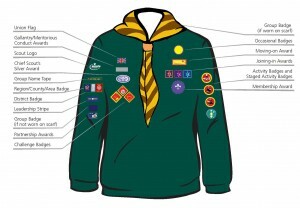 Scouts take part in a range of activities to develop their skills and understanding in each of the challenge areas. 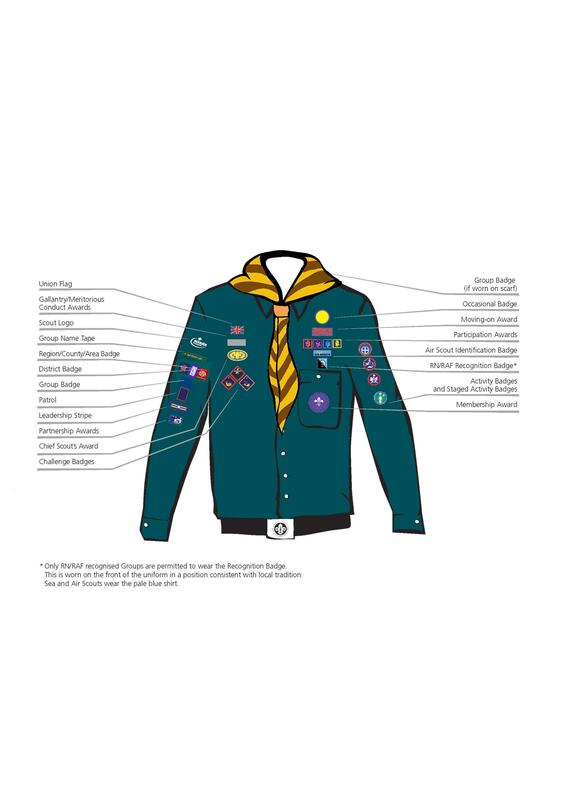 In addition, there are a number of core badges, obtained upon joining or moving on fto the next section, or for time spent in the Scouting movement. 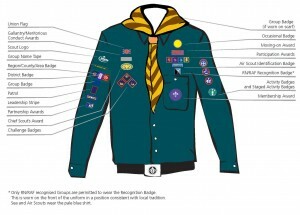 Further information about badges and awards can be found by clicking on the links below. 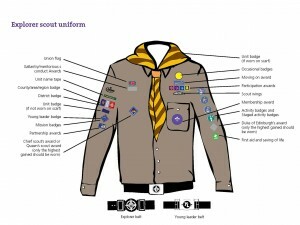 Uniforms with badge layout are displayed below. Click on an image to enlarge.